cyberattacks by hackers and are increasingly exploited by privileged users inside of organizations. However, there’s plenty you can do to protect your company’s databases — and reputation. 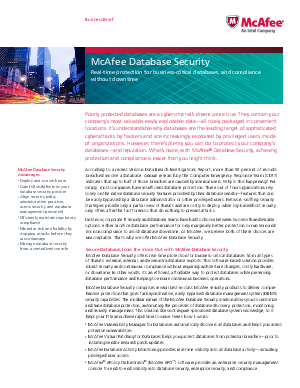 What’s more, with McAfee® Database Security, achieving protection and compliance is easier than you might think.